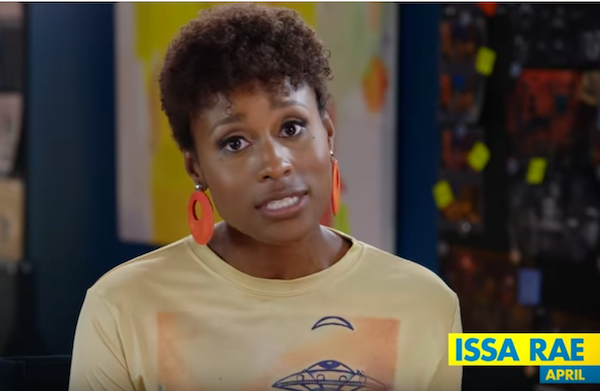 Some of our fave YBF chicks - Issa Rae, Marsai Martin and Regina Hall - are taking over the theaters this weekend with "Little", and they're given only us the sneak peek at how they created black girl magic behind the scenes. Watch inside. Issa, Marsai and Regina, as well as director Tina Gordon had all the magic behind the scenes on set while filming Little. 14-year-old "blackish" star Marsai is officially the youngest producer in film history (the movie was also her idea, come-thru-mar-sai! ), so it's only right she bossed up behind the cameras too. In her cute "lil pink pantsuit". #LITTLEMovie comes out tomorrow and I have to shout out this big-brained, beautiful, gem of a girl. I had the pleasure of tagging along on a week-long press tour with Marsai the Mogul and it was so moving to see her shine with all her graceful zest. She makes me so proud and excited for our next generation and I'm so happy that little black girls everywhere have her to aspire to. Shout out to Carol & Josh for raising a real one. Congrats to the youngest Executive Producer in Hollywood history on killing your first movie! Congrats Marsai! Little is in theaters everywhere now! NEXT: CONGRATS: Rapper Rich The Kid Helps Deliver His & Tori Brixx's New Baby Boy!